The trustees of the Ireland Chair of Poetry recently named Keith Payne as the recipient of the annual Ireland Chair of Poetry bursary. The poet was nominated by the current Professor of Poetry, Paula Meehan, and her nomination was welcomed and confirmed by the trustees of the Board of the Ireland Chair of Poetry. The bursary is awarded annually to a poet of promise and enables the recipient to reside for a period of four weeks at the Tyrone Guthrie Centre in Annaghmakerrig, Co. Monaghan. Keith Payne is a graduate of the M.Phil. in Creative Writing from the Oscar Wilde Centre for Irish Writing, Trinity College, Dublin. His debut collection of poems Broken Hill was published in 2015 by Lapwing Publications and forthcoming from Arc Publications is Six Galician Poets, an anthology of contemporary Galician poetry translated by Keith, and I will slay monsters for you, a translation of short stories from Catalan writer Victor Balcells Matas’ Yo mataré monstrous por ti from Broken Dimanche Press. 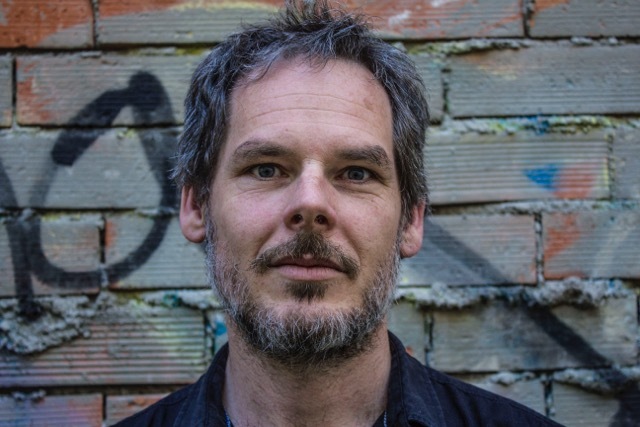 Keith has represented Ireland in international poetry festivals in Zacatecas, Mexico City and Salamanca and has been awarded residencies in La Ceiba Grafica, Veracruz and the La Casa del Traductor, Zaragoza, Spain. He has also been invited to guest lecture on contemporary Irish poetry and to read his own poems in the Universities of Granada, Oviedo, Salamanca and Vigo. A regular contributor of reviews and essays on contemporary Irish poetry and non­fiction in The Dublin Review of Books, Estudios Irlandeses: Journal of Irish Studies and El Faro de Vigo, Keith has also published articles on poetry in The Irish Times. Translations from Hispanic writers Juan Gelman, Ernesto Cardenal, Jaime Gil de Biedma as well as many contemporary Spanish poets have appeared in journals in Ireland and abroad. Alimentum, Burning Bush II, Cinnamon Press New Writing, Forked Tongues: Galician, Basque & Catalan Women Poets translated by Irish Writers (Shearsman Press), The Dublin Review of Books, The Irish Times, The Penny Dreadful, Southword, The Stinging Fly and The Trinity Journal of Literary Translation as well as numerous online journals. Keith is a member of the Irish Writer’s Centre and AEDEI (The Spanish Association for Irish Literature). Speaking about the award Paula Meehan said “I believe Keith Payne to be a rare poet himself in the English tongue, and equally a translator who has learned his trade with the single-mindedness and application that is the mark of a consummate artist”.